New look. 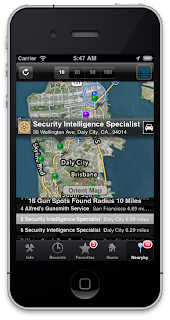 Updated to iOS 6.0 Lots of great features. Updated the FFL data to include January 2013. Total records available for searching: Almost 70,000! 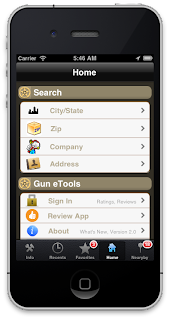 The Gun Spot iPhone app has been completely updated with a new look and features to make it even easier to find a gun store near you. 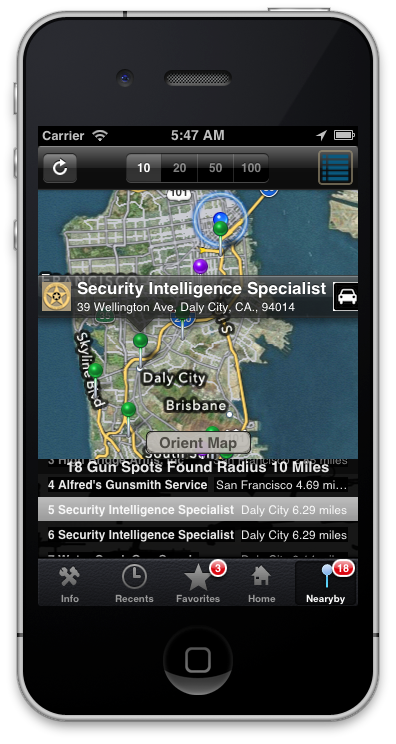 ✓ Radius search option for nearby searches to increase area being searched in more isolated areas. 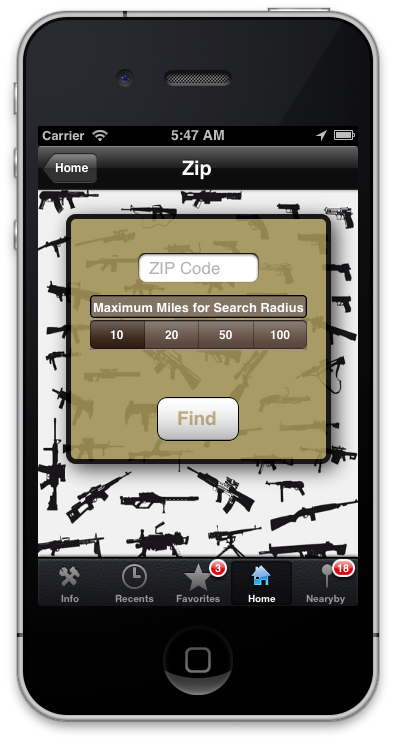 ✓ ZIP search now includes a radius search option. ✓ Address search includes a radius search option. ✓ You can now share on Facebook, Twitter, Message and email your favorite gun store using iOS 6 integration. 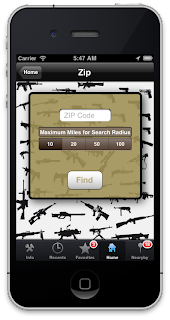 Inform your friends about ammo availability and more! ✓ Share web pages with double finger tap on page. ✓ Now you can orient the nearby map results.